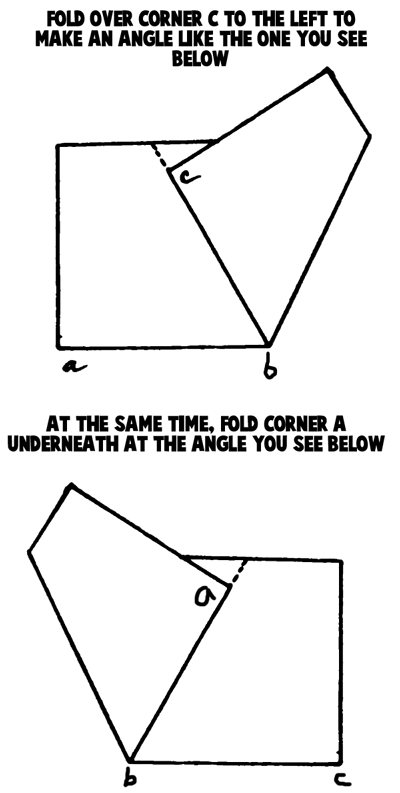 If you don’t have a square piece of paper, then take a normal sheet of paper and fold the bottom right corner over towards the left until it forms a triangle. 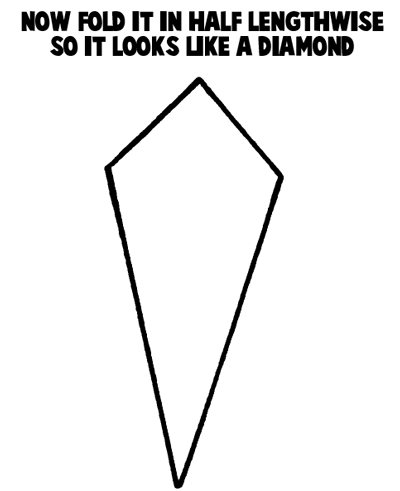 Draw a line where the triangle ends. 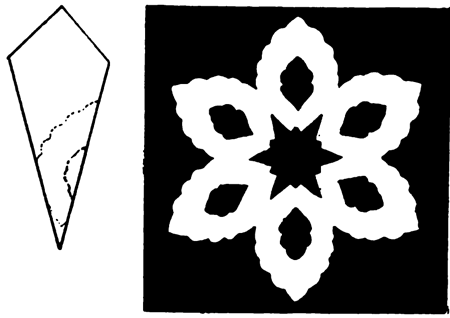 This is where you need to cut the paper to form a perfect square piece of paper. 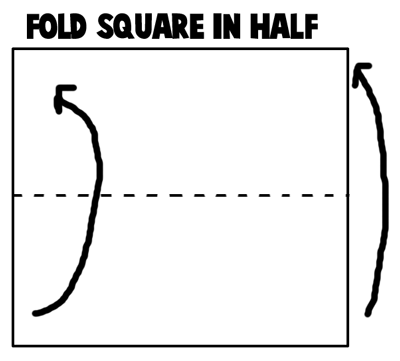 Now fold the square piece of paper in half. 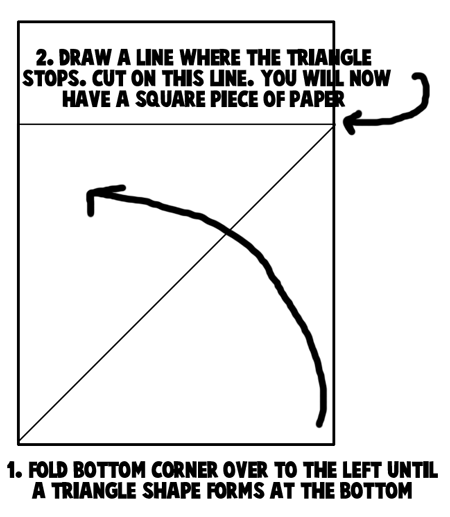 Now that you have a rectangle piece of paper. 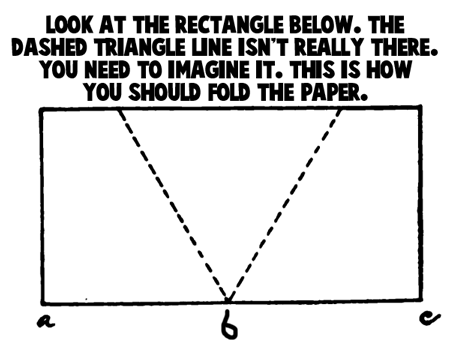 You are going to have to fold the piece of paper on the triangle dashed line that you see above. 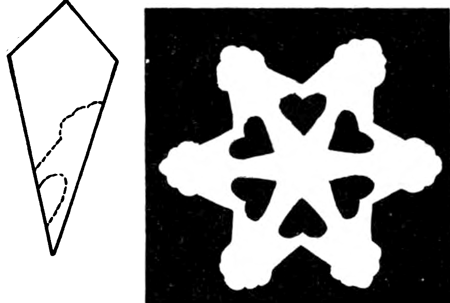 You are either going to have to imagine it or lightly draw it so you can fold it this way…below we have illustrated it. 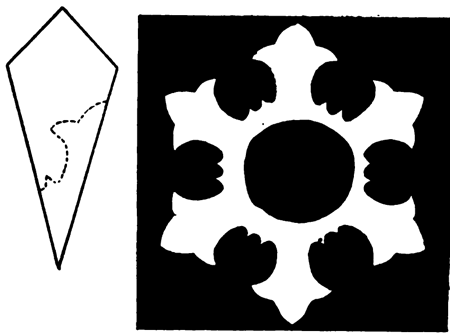 Now this is what your piece of paper should look like after you have folded the piece of paper as detailed in pictures above. 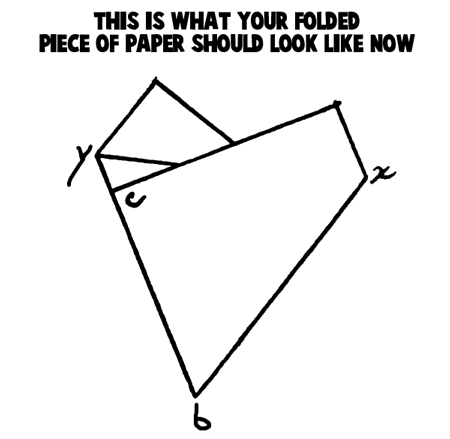 Now fold the paper in half lengthwise so it now looks like a kite or diamond. 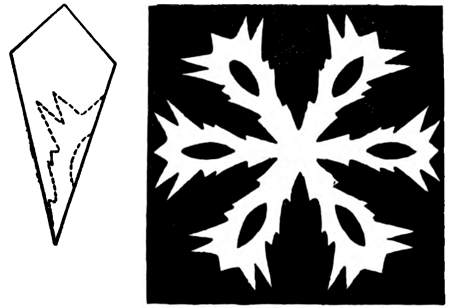 Below we have four different Snowflake designs for you to cut out. 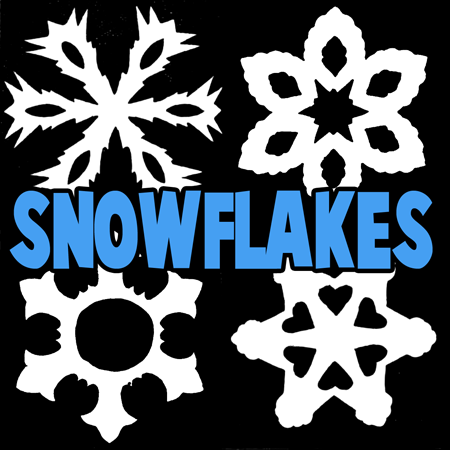 Feel free to make your own designs up. 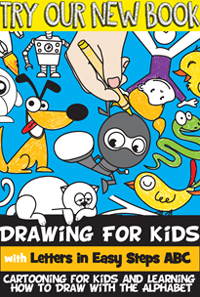 The dashed lines are where you should cut.